Levels of microplastics in the waters near Stockholm are as high as those reported near urban areas in California, USA, shows a new study by researchers at ACES and colleagues at Stockholm University and Aquabiota Water Research, Stockholm, published in Marine Pollution Bulletin. Packaging material and boating ropes are likely sources of microplastics in these waters though other sources, such as synthetic clothes and cosmetic products, are also possible. “Sampling studies have been conducted in many areas of the world. However, there are hardly any studies reporting plastic pollution in the Baltic Sea. We were surprised to find as much microplastics around Stockholm as in California,” says Berit Gewert, Ph.D candidate at ACES and main author of the study. Plastic production worldwide has increased 60 times since the 1950s. Plastic debris is now ubiquitous in aquatic environments. The main sources of plastic are landfills and tourism as well as wastewater treatment plants, ships, and vessels. 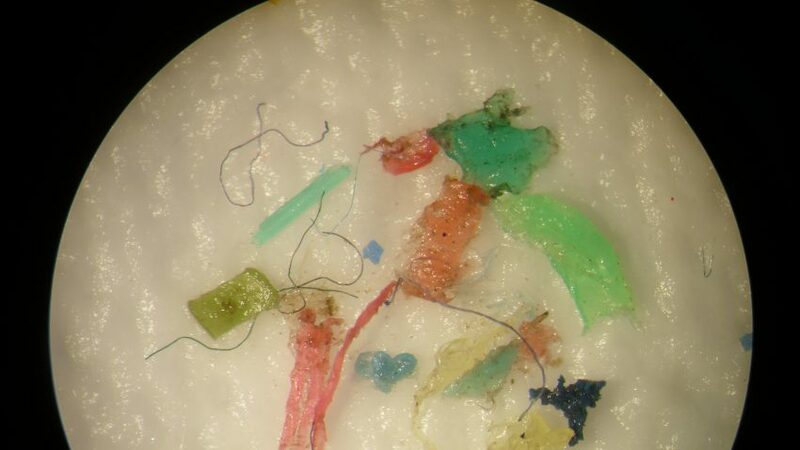 Tiny plastic particles that are less than 5mm in diameter are called microplastics and can result from fragmentation of larger plastic debris. Microplastics are widely distributed globally including the Baltic Sea and the Stockholm Archipelago. “Plastic in the global oceans was recently identified as a potential planetary boundary threat because it is causing global-scale exposure of the oceans which is poorly reversible,” says Berit Gewert. The findings in the study are based on plastic debris collected from the Stockholm Archipelago using a manta trawl – a net that resembles a manta ray used for collecting samples from the water surface and which is towed behind a scientific research vessel,- and from a parallel sampling campaign where two Swedish adventurers collected water samples while crossing the waters between the Swedish island of Gotland and Stockholm on standup paddleboards. The findings from these two sampling campaigns were similar. The researchers identified microplastics in the samples using advanced microscopy techniques while chemical analyses showed that polypropylene and polyethylene, both of which are found in packaging materials and boating ropes, were the most common polymers that make up these particles. “In areas with high leisure boat traffic, we found elevated concentrations but still lower than those found near Stockholm. The closer to the harbour the higher the concentrations of microplastics in the samples, which indicates that boating is contributing to microplastics in the Baltic Sea, “ says Berit Gewert. The researchers point out that besides boating and packaging materials, synthetic clothing and cosmetic products (that contain so-called microbeads) may also contribute to microplastics in the Baltic Sea. However, due to the small diameter of the particles, they could not be retained in the trawl used in this study. “At the moment, we do not know what these concentrations of microplastics pollution mean for the Baltic Sea. Therefore more studies are needed to assess the hazards microplastics can pose to the environment, especially at the levels we find today,” says Berit Gewert.